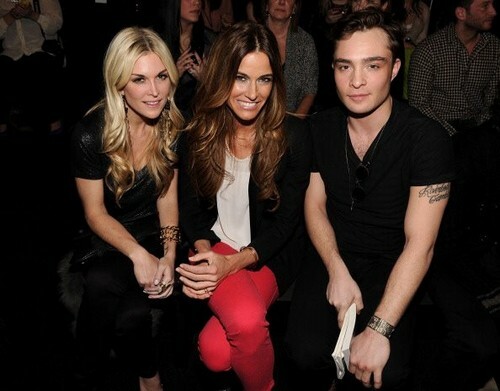 ED WESTWICK at Rock & Republic for Kohl's Fashion montrer. . Wallpaper and background images in the Ed Westwick club tagged: actor ed westwick 2012 fashion show. This Ed Westwick photo might contain jambes nues, collants, pantalons moulants, skintight, pantalon skintight, pantalon collant, collant, bien habillé personne, costume, costume pantalon, tailleur-pantalon, pantalon costume, pantsuit, personne bien habillé, pantalon de costume, costume d'affaires, and costume d’affaires.